LowCost 3D is a series of international workshops on low-cost three-dimensional sensor systems and tools. Ranging from low-cost acquisition devices like handheld scanning systems over inexpensive photogrammetric algorithms to processing software and applications. Started by Prof. Frank Neitzel from Technical University Berlin and Prof. Ralf Reulke from Humboldt-University in Berlin, the workshops were organized and hosted alternating between these two universities. Since 2011 four workshops took place in Berlin while in 2017 the 5th workshop was hosted by the HafenCity University Hamburg. In 2019 the 6th edition of the workshop will be held at INSA Strasbourg, France. The event will be held in conjunction with the Optical 3D Metrology (O3DM) workshop. These are two complementary scientific events that will provide delegates with a wide range of topics centred on optical 3D measurement systems and applications. The abstract should comprise at least 1000 words, possibly with figures, and should be sent as PDF file (first-author-name_etal.pdf) via email to lc3d@insa-strasbourg.fr. The final full paper should be formatted following the ISPRS format, with a max length of 8 pages. After the authors affiliations and before the keywords please type only Commission II, without any reference to WG. Please send the final paper as PDF file via email to lc3d@insa-strasbourg.fr. The accepted articles will be published in the ISPRS International Archives of Photogrammetry, Remote Sensing and Spatial Information Sciences. Each submitted paper needs at least one paid registration fee in order to be published in the ISPRS Archives. Registration fees cover session attendance, welcome drink, coffee breaks and Icebreaker party. (to be sent by email to lc3d@insa-strasbourg.fr with proof of registration). Registation will be available soon! LC3D 2019 will feature various technical sessions with oral presentations and live demos. Starting on Monday the 2nd in the morning and ending Tuesday 3rd of December. Participants from academia and research institutes are invited to present and demonstrate their tools, programmes and developments during showcase sessions which will be included in the technical program. If you are willing to showcase your results or applications, please contact Pierre Grussenmeyer. 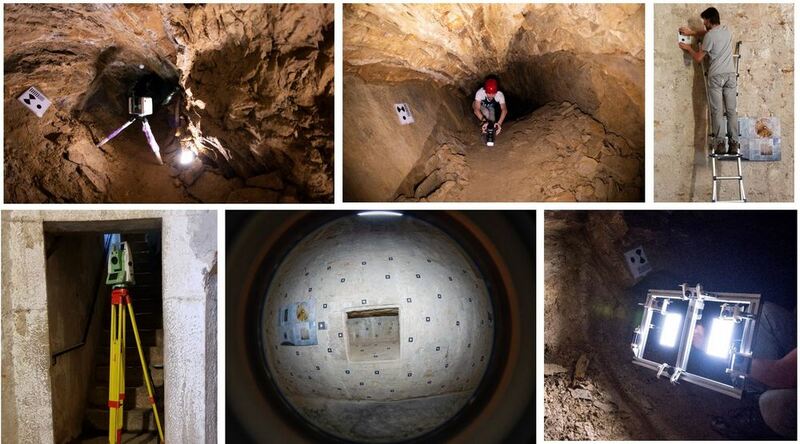 Fisheye photogrammetry, low-cost image-based sensors and SLAM technologies have seen increasing use recently to quickly survey indoor and complex spaces. A benchmark dataset was prepared in order to provide a common playground for the evaluation of the performance of different approaches. Some interesting topics include: fisheye distortion models/distortion handling, capturing geometry, pre-calibration, multi-camera constraints, multi-camera synchronization, automated image orientation, point cloud aligment, etc. 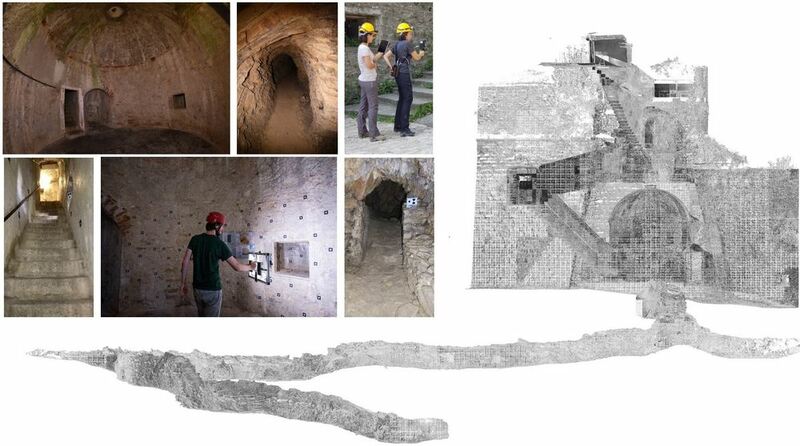 A special session will be dedicated to this topic during the 2019 LowCost 3D Workshop. 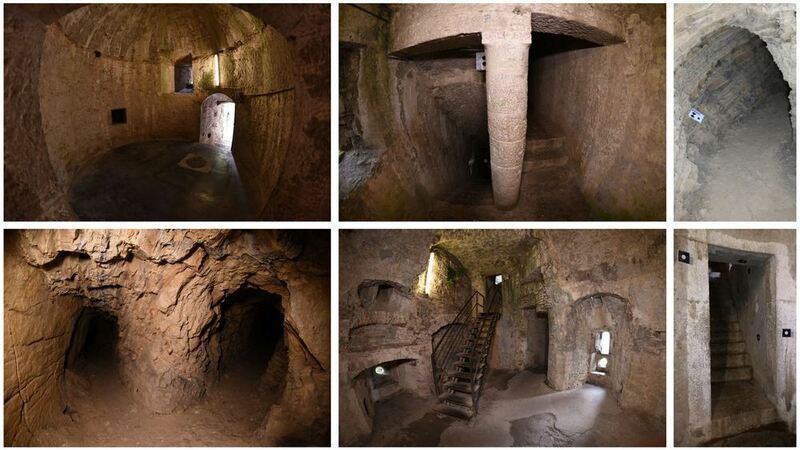 The benchmark data were acquired in the underground tunnels of a castle in the upper part of Bergamo (Italy). Participants from academia, research institutes and companies are invited to participate to use the benchmark data for research purposes and demonstrate their tools, programmes, processing methods and developments in elaborating images of different types and mobile range-based clouds for the reconstruction of narrow places. Presentations dealing with the benchmark data will be included in a special session of the event - no paper required. All participants will jointly prepare a journal paper after the event. More technical information about the benchmark are available here. If you are willing to participate to the benchmark, please contact Fabio Remondino or Francesco Fassi to receive the data. Data must be used only for R&D purposes. Strasbourg is the capital and largest city of the Grand Est region of France and is the official seat of the European Parliament. 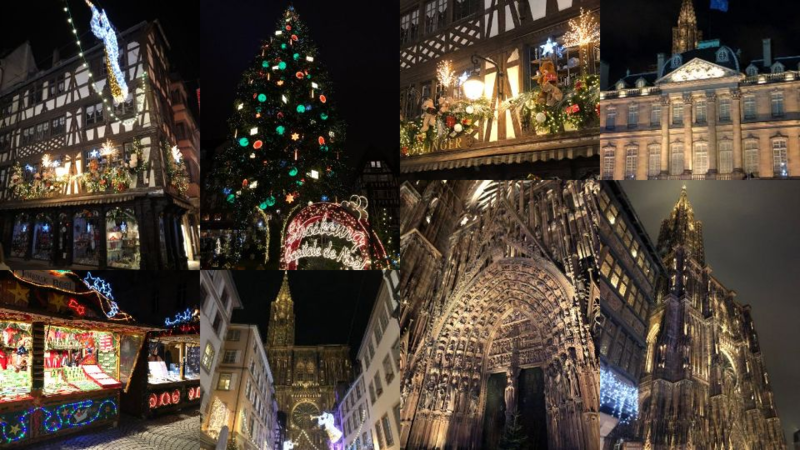 Located at the border with Germany in the historic region of Alsace, the city is famous for its historic centre, the Grande Île (Grand Island), which was classified a World Heritage Site by UNESCO in 1988, the first time such an honour was placed on an entire city centre. 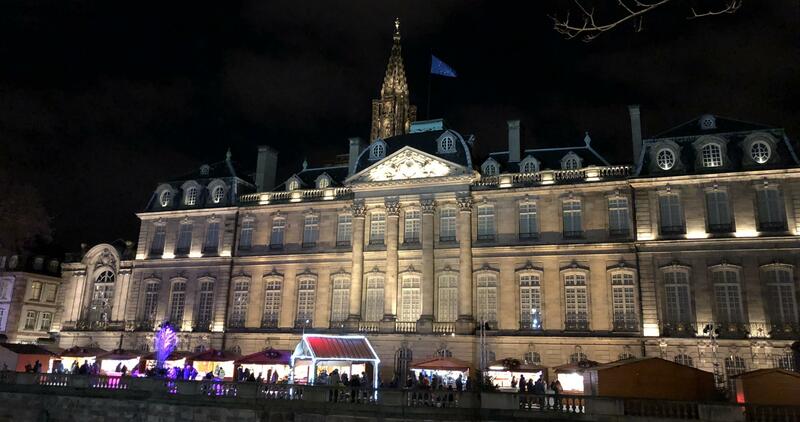 Strasbourg has been holding its famous Christmas market, Christkindelsmärik, around its cathedral since 1570, making it one of the oldest Christmas markets in Europe. 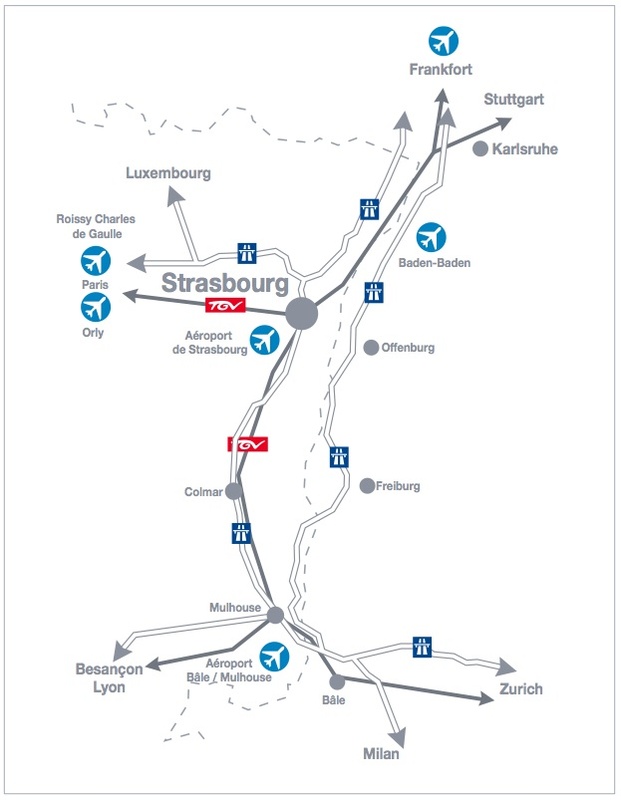 Strasbourg Airport has direct connections to several European cities. Arriving at the airport, turn right to get to the airport train station (you can buy the tickets at a machine just before leaving the airport building) and take the regional train to the direction of Strasbourg main station. There are up to 4 trains per hour, and the trip takes only 8 minutes. Please note that the regional train ticket sold by CTS to and from the airport also gives access to city trams and buses. Another nearby airports include Basel-Mulhouse-Freiburg airport and Karlsruhe/Baden-Baden airport. Furthermore, if you fly Lufthansa or a Star Alliance company, you can travel for free with the Lufthansa bus (2 hours) from Frankfurt to Strasbourg (but you have to include this trip in the booking). The TGV from Paris Charles De Gaulle to Strasbourg can be booked with your flight if you travel with Air France or a Sky Team affiliated company. Strasbourg is well linked to both the French and German rail network, with high speed train connections available from various European cities. There is only one train station in Strasbourg (all the trains including the TGVs arrive in this station). When arriving at the Strasbourg Central Station by long-distance train, switch to the tram. Take the tram line C located just outside the station's northern exit. INSA Strasbourg is located directly at the "Université" station. Tickets can be bought at CTS machines located inside the main station. INSA Strasbourg offers only very limited public parking spots. Travelers are advised to use public transportation or use local car parks. Street directions to get to INSA Strasbourg when coming to Strasbourg by car can be seen here. This website reuses the 3D-ARCH 2017 workshop template, designed by the Laboratory of Photogrammetry, National Technical University of Athens and available under a CC-BY 4.0 license.